“Cruise Village,” a facility offering vendors and information points at the Pointe Simon Cruise Terminal in Fort de France, Martinique, opened this week announced Martinique’s Tourism Authority officials. The facility will be open through April 18, 2014, the unofficial end of the destination’s 2013-2014 cruise season. Cruise Village retailers accept U.S. dollars and include apparel companies, jewelry and accessories designers, local makers of skin and hair care products and perfumes, souvenir shops featuring works by local artists. The facility also features dance exhibitions and rum tastings. The Martinique Tourism Authority and the Fort-de-France tourist office will maintain information booths at the facility. Fort de France will additionally deploy multilingual “city stewards” in red-jacket uniforms throughout the city, said Karine Roy-Camille, Martinique’s tourism commissioner. The officers will be available to answer visitors’ questions, provide directions and greet travelers. 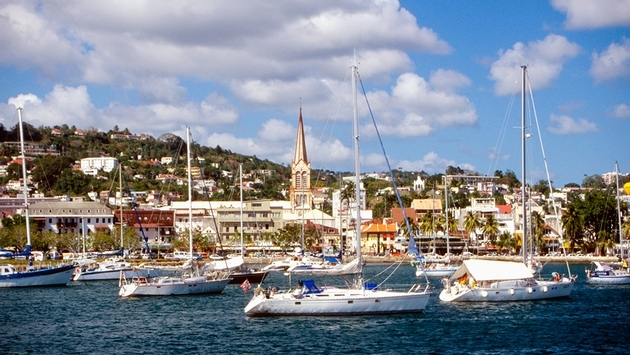 Martinique will host cruise ships from cruise lines including Celebrity Cruises, Club Med, Costa Cruises, Holland America Line, MSC Cruises, Royal Caribbean Intl. and Seabourn Cruise Line this season.